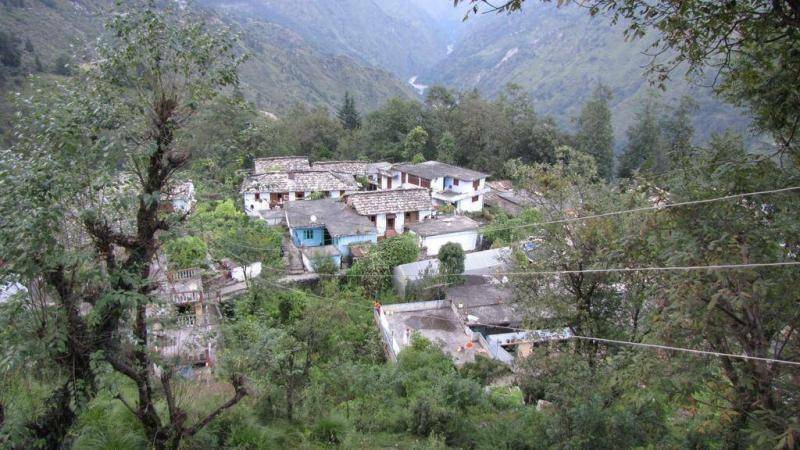 Darkot- a small village in Munsyari Tehsil in Pithoragarh District of Uttarakhand State, India that takes pride in the notable ancient architectural design of its habitats, Pashmina shawls and sheep wool blankets. The village is actually know for it's craftsmanship and almost every villages have a certain carft skill. The rcihness of the culture and creativity of the inhabitant bhotia tribe can be seen in the old artistic houses of Darkot . The Tribal Heritage Museum or famously know as the "Masterji's Museum" is a small yet beautiful archieve of the history of the village and is a must visit place in Darkot. There is no railway station near to Darkot in less than 10 km. How ever Kathgodam Rail Way Station is major railway station 124 KM near to Darkot.